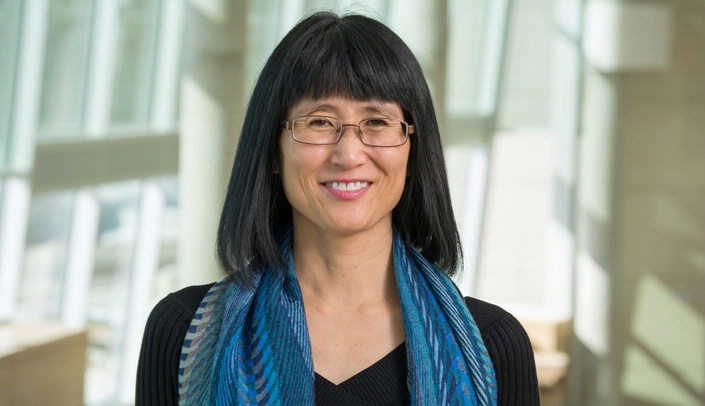 Distinguished Scientist: Shinobu Watanabe-Galloway, Ph.D.
Health care access and outcomes are not equal. People with limited economic resources and those living in rural and frontier communities have limited access to primary care and specialty care for disease like cancer and mental illness. I work with members of affected communities, public health professionals, health care providers, and researchers to understand barriers to health care and identify ways to address health disparities. My research findings are used by community leaders, providers and public health professionals. Results from one of our studies on American Indian cancer issues was used by a tribal leader when he sought funding for cancer care. We have conducted projects for the Behavioral Health Education Center of Nebraska with specific focus on rural mental health workforce issues. Reports have been used for programming and policy development. One of current projects on refugee health issues focuses on preventive care including cancer screening and vaccination - the results will be useful in informing refugee communities, community agencies, health care providers and public health professionals. Based on the study findings, interventions to increase the preventive care practice will be developed. "If you are going to dream, dream big." My father told me when I was very young. I worked at Tokyo Disneyland. I learned English by listening to the Far East Network, a network of American military and television stations in Japan and nearby countries. Well deserved!!! Congratulations and thank you for all you do to improve the health and lives of others. Well deserved honor for Shinobu. She is a champion for less fortunate communities. It's always a pleasure when a person of great skill and grace is recognized. Congratulations, Shinobu!